In 2010, Supervisor Keefer wanted to build a new community Park in Johnstonville. 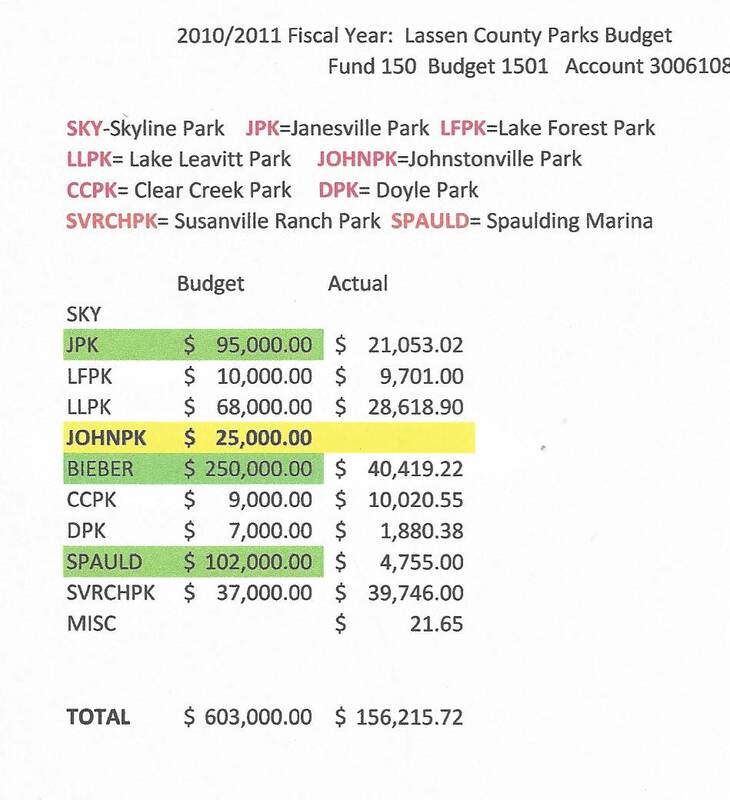 The County had access to Prop 40 funds (2002, California Clean Water, Clean Air, Safe Neighborhood Parks and Coastal Protection Act).and Supervisor Keefer wanted to use these funds for a community park in his District. The County land in Johnstonville soon proved to be unsuitable due to drainage issues. Caltrans yard across the road drained into the proposed park land. Caltrans was asked to mitigate this and agreed to grade their land so the water would be re-directed.